Parenthood TV show on NBC. (Art Streiber/NBC/MCT). While a real-life pregnancy scare with wife Kristen Bell inspired Dax Shepard to get a vasectomy ASAP, the actor is ready for more Parenthood, at least on TV. The Jason Katims’ series, also starring Peter Krause and Lauren Graham, ran for six seasons on NBC, before ending in early 2015. Now the actor-director tells The Hollywood Reporter that he is ready for a Parenthood TV series revival. Watch Shepard discuss his impromptu family planning. What do you think? 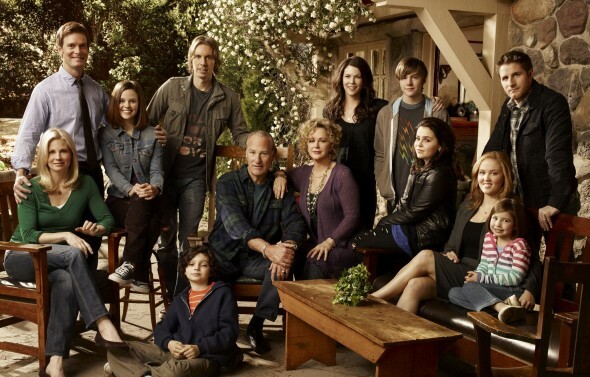 Were you a fan of the Parenthood TV show? Are you up for a series revival? LOVE, LOVE, LOVE THIS SHOW AND THE CHARACTERS. I am just starting the 5th season & I am totally addicted. I can’t wait to watch it & know I will be sad when I watch the last episode. I will miss all of the characters. They are a support group for parents dealing with the challenges of raising children. It is the most heart warming show I have ever seen!!! This show is great I just started watching this show 4 days ago and im on season 6 please bring it back. Absolutely!! I just started watching it on Netflix. Please bring it back. I hope the show comes back. Did not like the way the show ended. I just started watching it on Up and I love it! Please bring it back. Please bring Parenthood back! We all miss this show and still talk about it! This series had more heart and soul than anything I have ever viewed. The cast clicked and was totally believable as a real family. Amazing. Please bring this back.